Last week the 15 semi-finalists in this year’s Smart Ageing Prize met in Brussels for a two-day mentoring academy. At the mentoring academy the teams participated in workshops and received one-to-one coaching to further develop their business models. The aim is to support the semi-finalists to develop their detailed business plan, which will be submitted to the judges in August to determine the winners of the prize. The academy is also a valuable opportunity for teams to meet other innovators from across Europe and Canada and build a network of support. On the final day of the academy, the teams pitched in front of the judging panel and demonstrated their prototypes. This allows the judges to experience the products in the flesh and to get a better sense of the user experience than a paper application can provide. 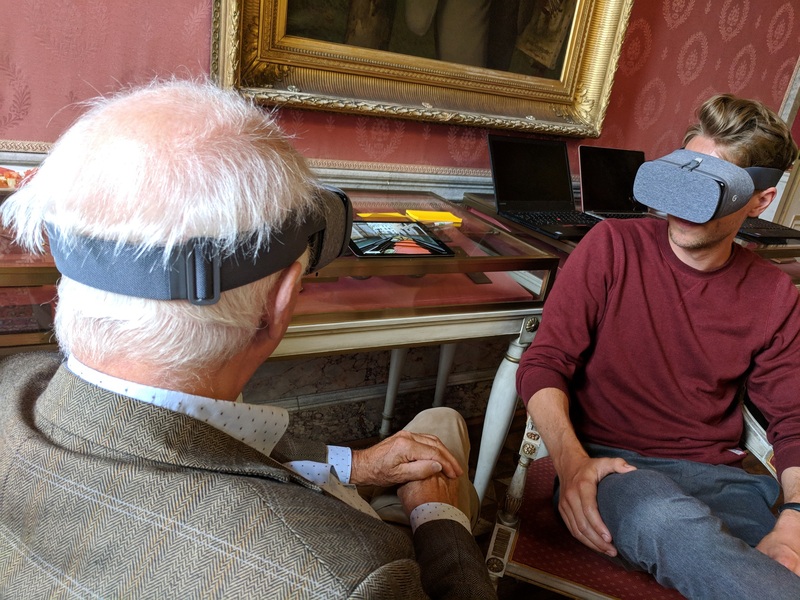 We enjoyed playing with the prototypes, including VR headsets and game platforms, and were very impressed with the calibre of this year’s pitches. Workshops at this year’s academy were delivered by experts from European Network of Living Labs, ERTICO, Hub Brussels, LeapStation and Hovione Capital. Sessions focussed on aspects of the prize judging criteria, including co-creating with end users, designing a logic model and measuring impact, technical and legal product development and how to approach investors. Each team worked with an individual coach on their business model. They will meet again remotely with their coach over the summer as they work on their detailed business plans. We hear that one team plans to do a coaching session on the beach! After the 15 semi-finalists submit their business plans, the judging panel will meet again to select five finalists to attend the AAL Forum in Bilbao. The finalists will all pitch their products on stage at the Forum, and prizes of €35,000, €10,000 and €5,000 will be awarded. It was a pleasure to meet the semi-finalists and to get to know the people behind the products. We wish everyone the best of luck for the next stage!